Three friends. One living room. A million channels. Endless possibilities. 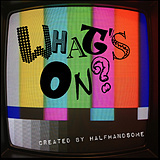 Week #1 Show Teaser What's On? 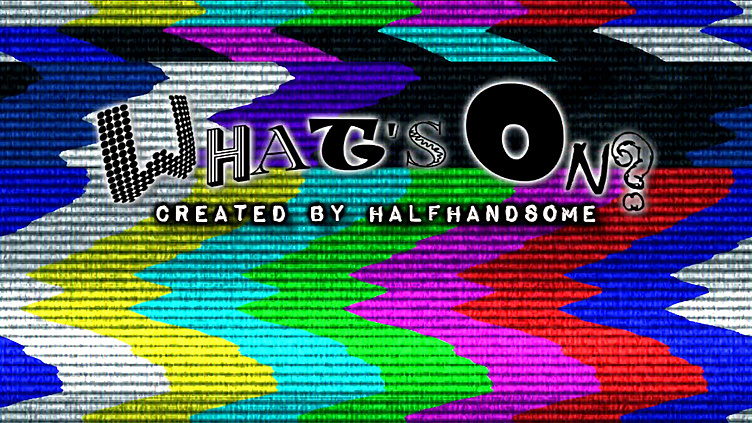 Halfhandsome presents their teaser pitch for 'What's On?' a hybrid television program that interbreeds sketch and situational comedy. It follows Stu, Zac, and Andy as they obtain stolen cable after losing access to the internet. Problems arise when their TV shows and social lives begin to coincide and react with each other, causing an absurd twist of fate for three roommates. I like it!!! I like it!!!!! Ha! Crazy. I love it! I would watch if only to find out what happens with the banana. I NEED TO KNOW. Makes me think of an adult version of 'Squawk Box'; hopefully it can be fully fleshed into a 22-minute vehicle that isn't repetitive.